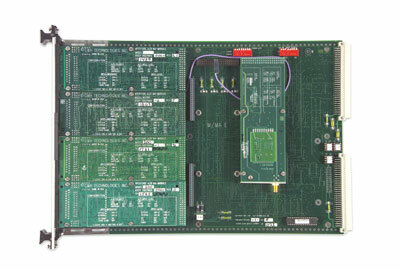 A 64 Channel input module that samples and selectively stores up to 64 bits of data along with 31 bit time tag at rates up to 5 MSPS. Also has the ability to store all data at the specified sample rate or to selectively store input values based upon changes in state on one or more of the inputs. With the OCXO option a more precise sample clock is achievable or a reference input may be supplied to other system elements to enable tracking of event detector inputs relative to other monitored functions within the overall system.